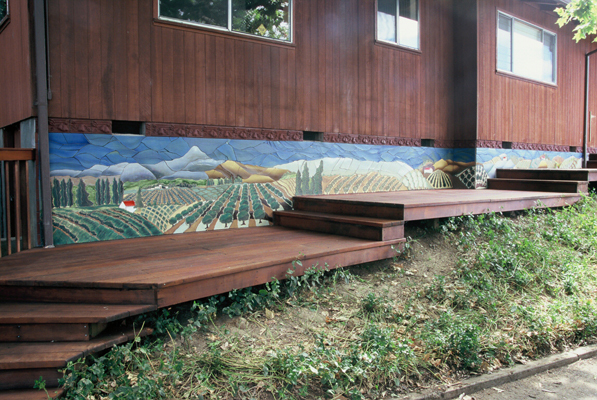 “The Pear Orchard” was created and installed by Susan Springer and Illahe Tileworks for a private homeowner in Oregon’s richRogueValley. Designed for a pear orchard owner and collector of fruit crate labels, the mural was designed with an eye to the colorful stylized labels. 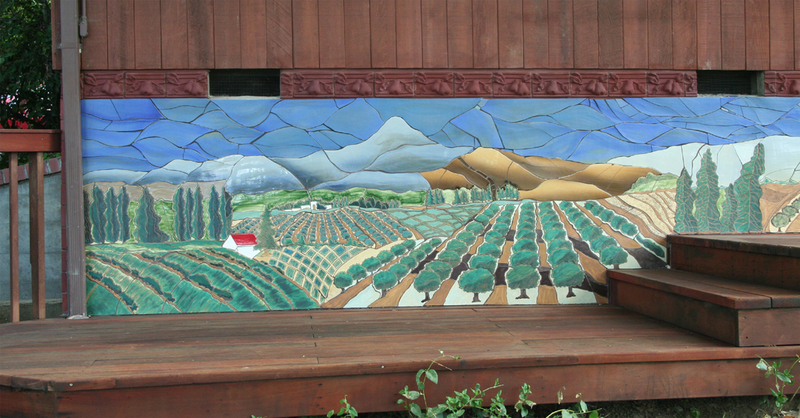 The brightly glazed ceramic tile mosaic depicts the historic view from the property with Roxy Ann, the mountain landmark on the horizon. Measuring 40 feet in length, it is installed directly onto the exterior of the home. 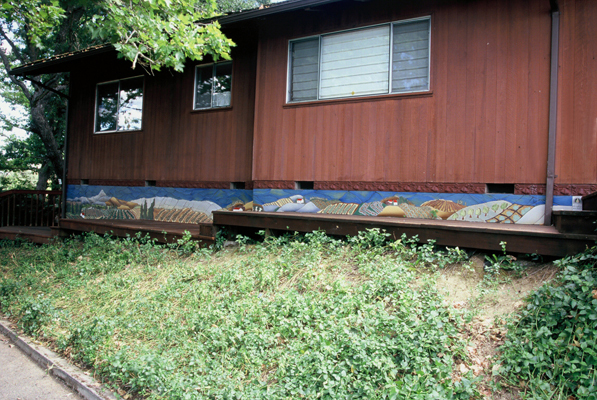 This is one of many successful site-specific art projects created by Illahe Tileworks.